CSA Raptor is a great new design aimed at vehicle owner who is searching for a distinctive look. The Raptor wheel is finished in a modern Satin Black all over paint finish and is available in 16x8”, 17x8”, 18x8”and 20x8.5” sizes. CSA Raptor is a great new design aimed at vehicle owner who is searching for a distinctive look. The Raptor wheel is finished in a modern Satin Black all over paint finish and is available in 16x8”, 17x8”, 18x8”and 20x8.5” sizes. The Raptor wheel suits a huge range of popular 4x4 applications. In 6/114.3 bolt pattern the Raptor suits all new Nissan Navara and Pathfinder models. The Raptor in 5/120/114.3 bolt pattern suits the new VW Amarok Ute plus a comprehensive range of 4x4 vehicles with 5/114.3 bolt pattern such as Courier, Escape, Explorer, Territory, CRV, Hyundai 4x4, Lexus 4x4, Tribute, Outlander, Hilux, Kluger & Rav4. Raptor is load rated to 1150 Kg in 16x8” size and an impressive 1250 kgs in 17”, 18” and 20” sizes. 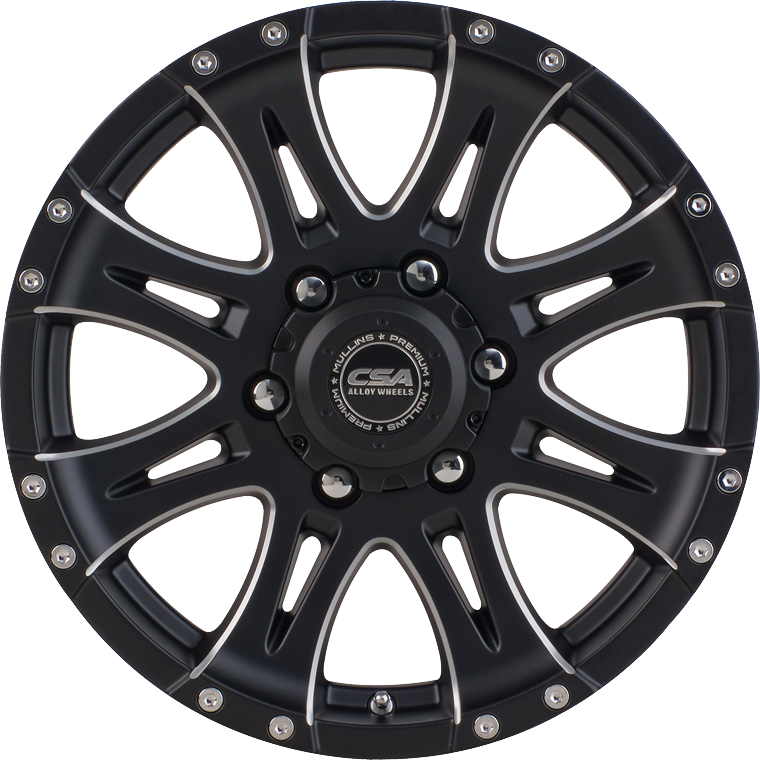 The Raptor wheel sets the new appearance standard and will enhance the look of any vehicle.